Join the AMP Ambassador Program: Explore the Arabia Mountain PATH and help other visitors find their way! 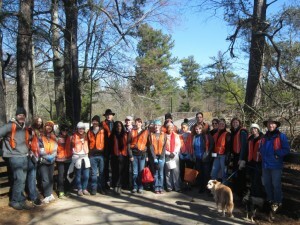 Volunteer at Davidson-Arabia Nature Preserve: This DeKalb County park manages over 2,500 acres. Volunteers are needed to help keep trails clear, greet visitors and support the office, join rangers on hikes and much more. The preserve offers service projects on the first Saturday of each month and help is always needed. Please contact us at 404-998-8384 for more information or by email at mera(at)arabiaalliance.org. You can also see the Davidson-Arabia Nature Preserve Volunteer Manual to learn more. Join Friends of Panola Mountain: The Friends group helps with tours of the mountain, trail maintenance, working at the nature center and special events, especially the hikes. Contact Jeff Nix at 678-776-8861 for more information. AWARE: If you like working with animals and wildlife, AWARE can use your hands. Opportunities include becoming a caregiver or assistant for a sick or injured animal or joining a “hands-on” day at the Klondike Road facility. For more information, visit their website here. 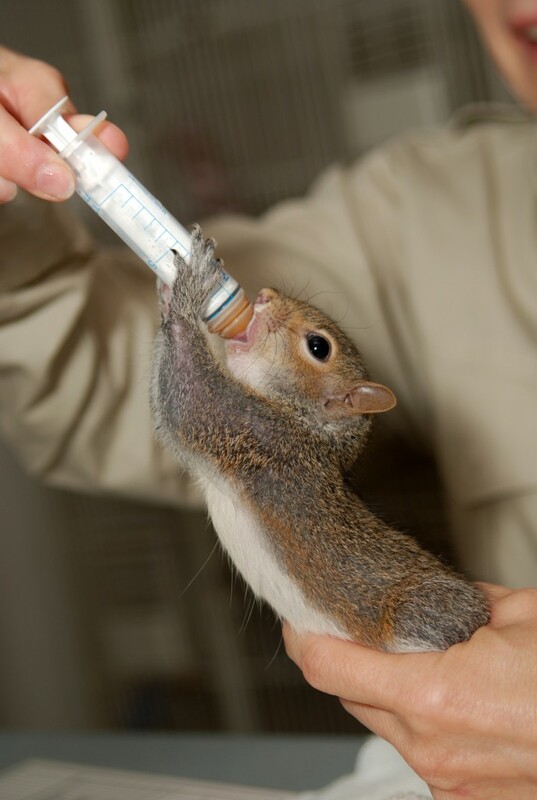 Volunteers at AWARE help care for sick and injured animals.